This time we moved up three places in which, among other things, to learn more about some of the legends and landmarks that houses the magical land of Galicia. In Galicia are many sites which, in part to the Camino de Santiago, help us discover many of the mysteries and stories hidden behind. However, in some cases we find other equally interesting places that are far from the usual routes. Today we found some of these enclaves. Greek legends tell Charon in his boat carrying wandering souls. The boatman of Hades had carry crude mission in order to find them a "new" life. Do you know where to pass one of these places? Exactly Galicia. More specifically we talk about San Andres de Teixido, an enclave in which the souls of the dead traveled to become stone. This time we traveled to Pontevedra to ourselves face to face with one of the greatest mysteries seen in a rock group. 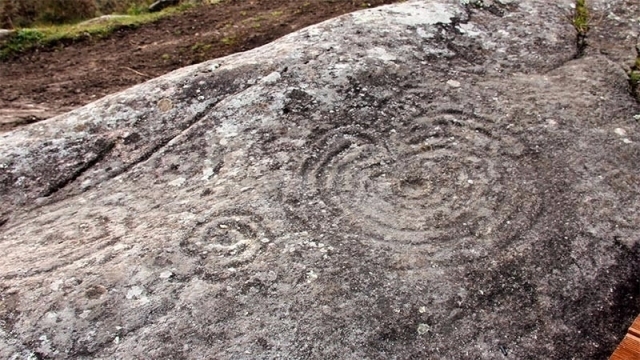 The call Mogor Petroglyph has the honor of being one of the sites which, according to their forms, resulting in several brands that are distributed by. A cult an astronomical guide? Everything is a resounding mystery when it comes to Mogor and art. Today is completely logical and normal that we turn to drugs to heal, either a mild headache diseases through more critical. But what if we must go back to the fourteenth century for example? Bed San Xiao received the curious name of "magic" and it is no wonder. Anyone who lie on this stone located in the Natural Park of Monte Aloia will be released from any disease. Of course, the legend incites try.